ROMAN REPUBLIC. M. Baebius Q.f. Tampilus. 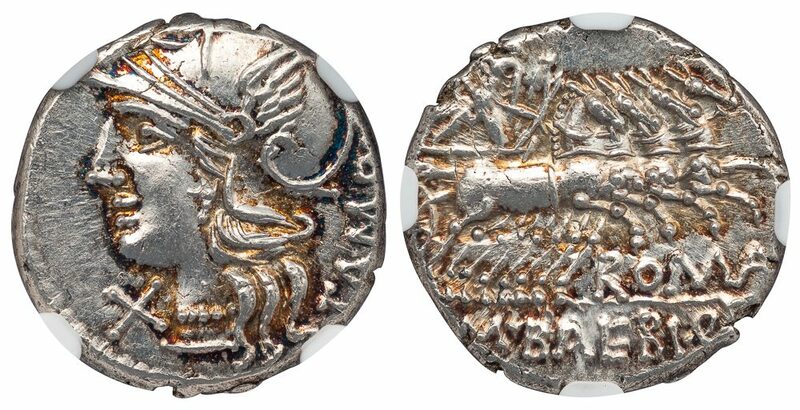 137 BC. 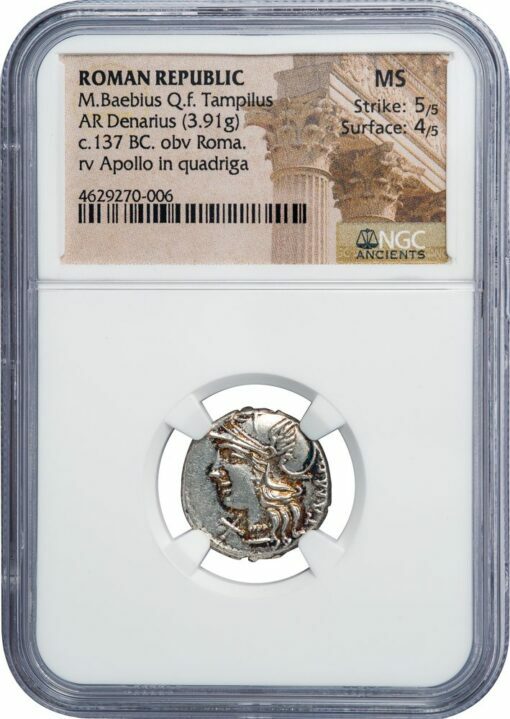 Silver Denarius, 3.91 g., 18 mm. Obv. TAMPIL, helmeted head of Roma left, X (mark of value) in left field. Rev. M • BAEBI • Q • F, Apollo driving quadriga right, ROM(A) below. NGC graded MINT STATE, Strike 5/5, Surface 4/5, with golden iridescent highlights.